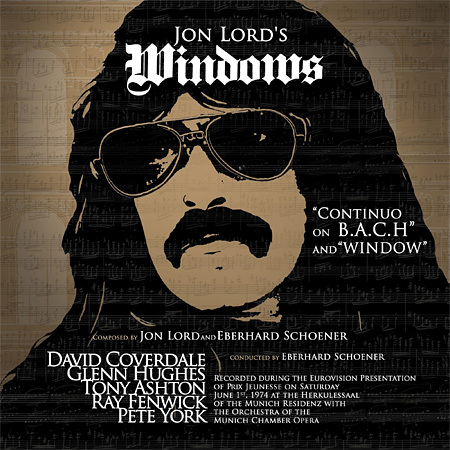 earMusic/Edel will continue the series of Jon Lord reissues with the release of “Windows” on April 28, 2017. The reissue was remastered by Rob Cass at Abbey Road Studios, using the original stereo tracks and will be released as a Digipak featuring a new artwork. A reissue of “Sarabande” will follow later this year. Posted by andreas on Saturday, March 18th, 2017, filed under News. You can follow comment on this post through the RSS 2.0 feed. You can skip to the end and leave a comment. Pinging is currently not allowed. As with “Gemini Suite” my feelings about the reissues are double minded. I’m happy that it is reissued and reamstered. And I hope it’s soundwise better than my old “Line-releases”. But why the created new artwork. It’s senseless. The old artwork is part of the history of the albums. And why no bonus tracks. In this case it could be DVD’s from the the concert, or the interesting “Krönunsgmesse” which both still exist. One more reissue without any great interest ! If only the DVD of the show has been included… ! Lord squint? Come on. Another poor release. Same thing with the latest Gemini Suite release. Nothing new, nothing better. No sound upgrade, nothing new on the booklet too. You’re totally right Karl-Heinz, poor lazy/easy reissue…. TV stuffs were – of course – bonus that had to be included !